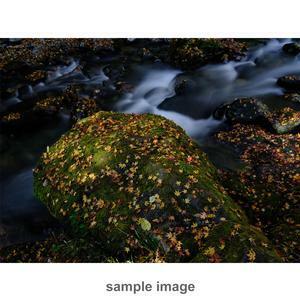 Standard zoom lens with high quality image. 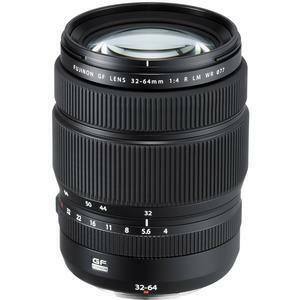 The Fujifilm GF 32-64mm F4 R LM WR is a standard zoom lens specifically designed for the Fujifilm G Mount and 43.8 x 32.9mm sensor. The lens delivers superior image quality thanks to the lens construction of 14 elements in 11 groups, including 3 aspherical lenses, 1 ED lens and 1 Super ED lens. The GF lens range, which can cope with resolutions up to 100MP, combines the latest technologies with extensive knowledge accumulated from making XF lenses, to deliver the best possible image quality and realize the full potential of GFX medium format mirrorless cameras. 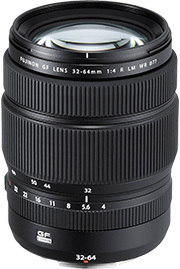 A standard zoom lens with a 25-51mm focal range (35mm format equivalent). 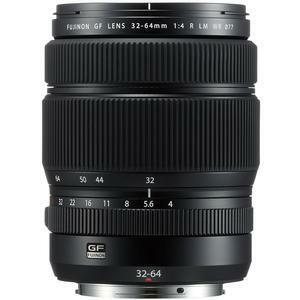 The GF32-64mm features 9 weather resistant seals so you can shoot outdoors in wet, cold or dusty conditions. 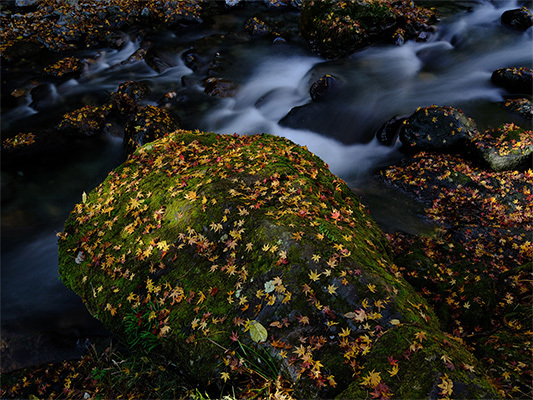 Create epic photography regardless of the weather or the season.